The key headlines from the review is the rather expected decision to end the Welsh Government Tuition Fee Grant – the ‘subsidy’ that is offered to Wales-domiciled undergraduate students wherever they decide to study. Instead, the review group propose, students should be offered greater financial support to cover their living costs – or maintenance support. The ‘package’ of maintenance support includes £1000 for every Wales-domiciled student, additional means-tested Maintenance Grants (based on a student’s household income) and access to low interest loans to cover tuition fees and further maintenance costs. Included in this are some nuanced recommendations regarding how Maintenance Grants should be determined which ensure parity with the National Living Wage and how varying levels of household income will determine the size of the overall Maintenance Grant. The decision to end the Welsh Government Tuition Fee Grant means that most Wales-domiciled students will now have to pay the full tuition fees that universities set (currently at £9,000 per year). Despite the proposed new package of maintenance support, this recommendation removes what has been a key policy difference with England and Northern Ireland. If implemented only students in Scotland will be eligible for some form of ‘free’ tuition at university ending a long-standing commitment by Welsh Labour not to require Wales-domiciled students to pay full tuition fees. However, this decision by the Diamond Review is based on sound analysis. This includes the ‘cost’ to Wales of financial support for tuition going to universities outside Wales and largely in England. It also reflects growing evidence that due to the use of tuition fee loans that are payable only once graduates begin to earn above a certain threshold access to higher education is more dependent upon the living costs rather than the tuition costs. 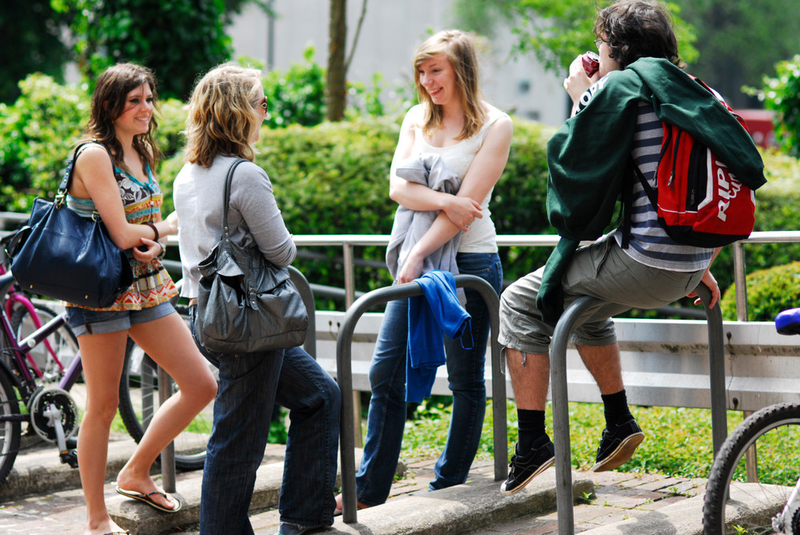 Therefore shifting the financial support by the Welsh Government away from supporting tuition to supporting living costs will be of more immediate benefit to students and may have the benefit of encouraging students to go to university who would have otherwise been put off by the living costs. It is also quite likely that the evidence from England, which shows the numbers of students accessing higher education does not appear to have been affected by the rise in tuition fees, has also helped sway the minds of both the review group and politicians. However, this still needs to be treated with some caution. First, it is not clear from England, yet, what impact the rise in tuition fees has had on widening access to under-represented groups. Published figures suggest there has been a modest improvement in access for individuals from disadvantaged backgrounds. But this has been achieved in the context of much greater attention to widening access and a wider availability of educational and financial support for such learners. We will never know if more could have been achieved if tuition fees had not been introduced and raised. Secondly, it is possible that we have yet to see the medium to long-term impact of the rise in tuition fees in England. In the short-term we might not expect to see any detrimental impact of rising tuition fees since many of those entering university now will have made a decision to attend years ago. In time we may find that more families, working class and middle class, will take a more critical view of the cost-benefits of going to university. And finally, none of the decisions to switch financial support from tuition to living costs will necessarily do anything to affect what some consider to be a much greater issue of inequality which is improving access to the more ‘elite’ universities. It is, then, many of the other 54 recommendations from the Diamond Review that are perhaps just as important if not more important than the headline-making recommendations. These include, for example, greater support for part-time undergraduate students (responding to WISERD research on part-time study commissioned by the Diamond Review), the development of new employer-sponsored programmes of study (including the potentially attractive Higher Apprenticeships), improved access to financial support for postgraduate students (including access to Tuition Fee Loans of up to £9000 to pay for postgraduate courses). The Diamond Review is perhaps less reassuring to students with disabilities, experience of care or children – here the Review makes very few specific recommendations, and instead encourages others to ‘do more’. However, it is very pleasing to see explicit recognition of the importance of schools in widening access – a key finding from recent ESRC- and HEFCW-funded research undertaken by myself and colleagues in WISERD. But the Diamond Review does not end with student support. It also makes some important recommendations about the higher education research landscape. This includes 150 Welsh Post Graduate Research Scholarships to support collaborative research with the private, pubic and third sectors. There is strong support for the continued use of Quality Research (QR) funding in the Welsh HE sector but with the proviso that institutions must demonstrate how these funds are being used strategically. There is also support for the important role and work of Coleg Cymraeg Cenedlaethol in supporting Welsh medium education. However, the recommendations on this fall short of any long term stability with only the commitment to fund the Coleg at its current level for the next academic year 2016/17 and a desire to develop a ‘sustainable funding model’. The last two recommendations worth highlighting are perhaps connected. The Diamond Review concludes by recognising the importance of ongoing evaluation of any reforms that are introduced. It calls on the Welsh Government to commit to monitoring, evaluation and the development of best practice. Finally the Diamond Review recognises the contribution that WISERD has made in generating a strong evidence base for education and social policy in Wales. It goes on to recommend that WISERD should receive core funding from the Welsh Government on a five-year basis. Whilst fiscal pressures may preclude this and some other recommendations from being adopted this is nevertheless an important and significant recognition of the work that WISERD has undertaken to date. It also reflects the need for more sophisticated research that requires collaborative and interdisciplinary approaches to help tackle the many social and economic challenges that Wales currently has.